Munich has been on my travel bucket list for a long time. While I´ve been to Berlin multiple times, I´ve never visited Munich (only once for a day when I was 6, which doesn´t really count) - until 3 weeks ago. Since Munich is only 2,5 hours away from Pforzheim - maybe a reason, to go there more often? - my parents came up with the idea of visiting the city over the Easter break. With 3 out of 5 days being bank holidays, we had lots of time to explore the city (and don´t get caught up in shopping). 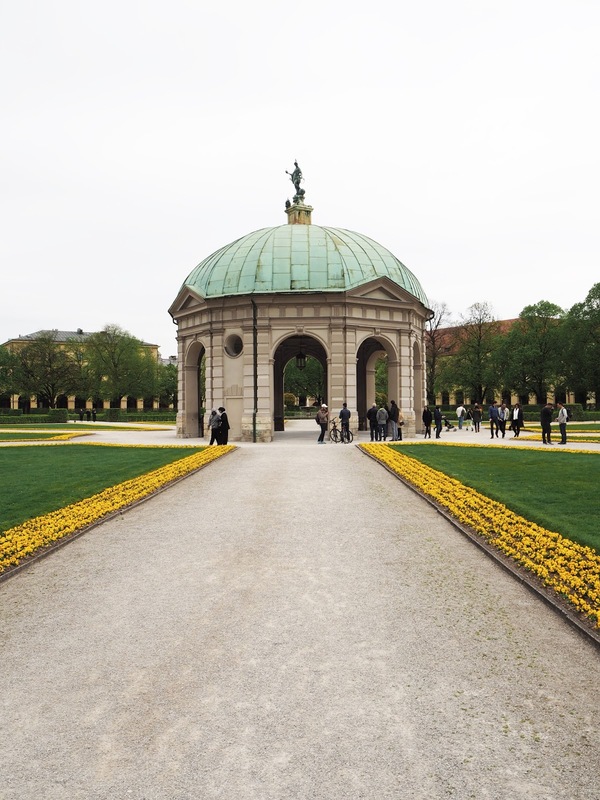 Today, I´ll share my five favorite things to do in Munich with you. One part of Munich I absolutely love is the Gärtnerplatzviertel. The quarter is great to stroll around, get some coffee in one of the many cute cafés and do some shopping. 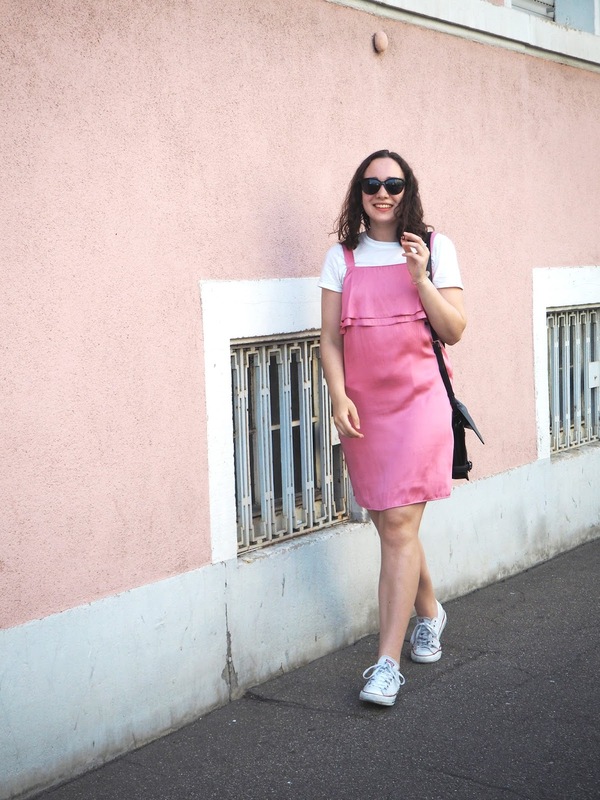 In the Reichenbachstraße, you can find really nice independent stores ( a few of them even fair fashion! ), but in general, I can recommend you to simply walk around and explore the area by foot. Beforehand, I searched Instagram high and low for nice restaurants - of course. 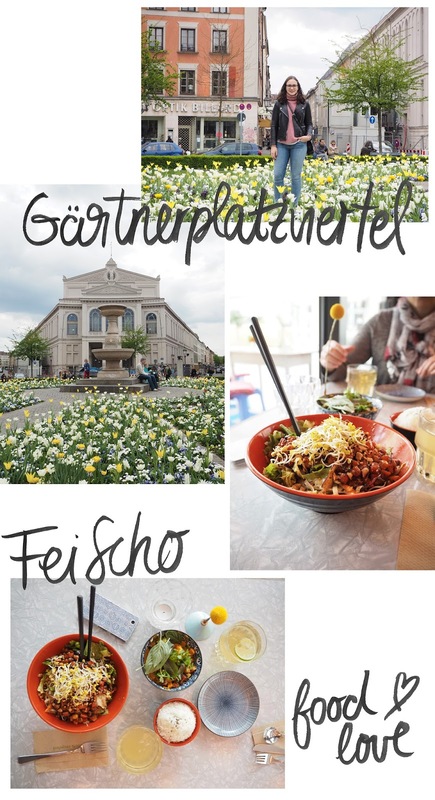 We tried out FeiScho, which is in the Gärtnerplatzviertel, and I can whole-heartedly recommend you this place. It´s quite a small restaurant and it serves Vietnamese food. I had a ricenoodle salad with sweetpotatoe and peanuts and my mom had a curry with sweetpotatoe and rice and we both loved it! We got really lucky with the timing of our visit in Munich. The Peter Lindbergh exhibition in the Kunsthalle had just opened its doors to the public and is there a better thing to do on a rainy day than going to an exhibition of an amazing (fashion) photographer? 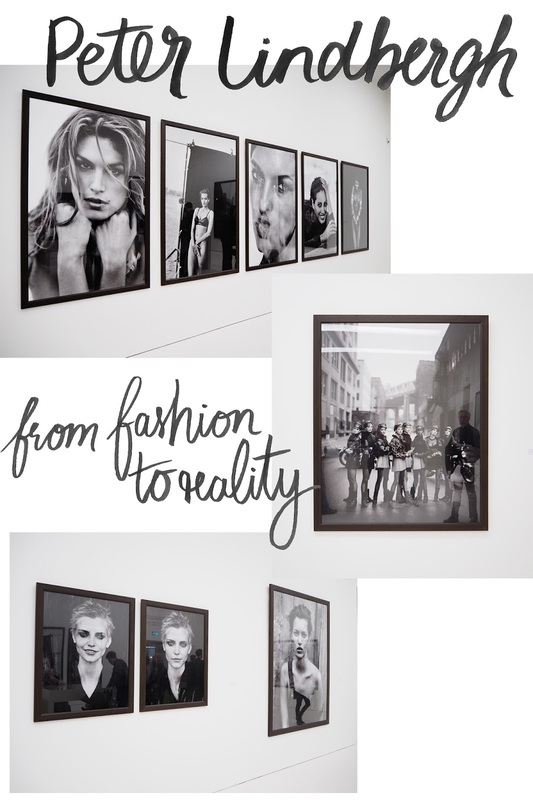 The exhibition is spread in 8 rooms and it doesn´t only show the images shot by Peter Lindbergh, but also personal Polaroid pictures, old cameras, a short movie and much more. Students only have to pay 6€ (the price for adults is 12€) and it´s absolutely worth a visit when you´re interested in fashion and/or photography. The surfers at the Eisbach at one end of the Englischen Garten, to me, is something that I somehow associated with this city. 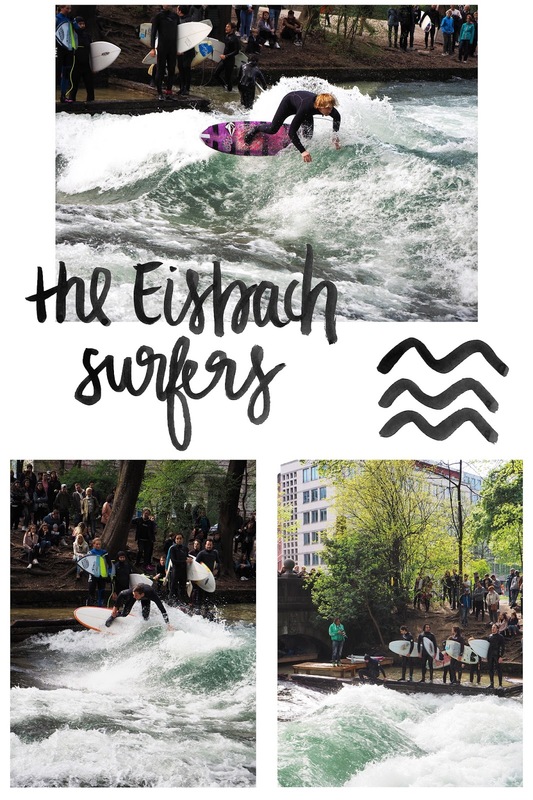 I think the pictures speak for themselves, but in case you find yourself in the Englischen Garten going for a walk, you should pay the Eisbach surfers a visit, because they are surfing in a river in the middle of a city - crazy, right? 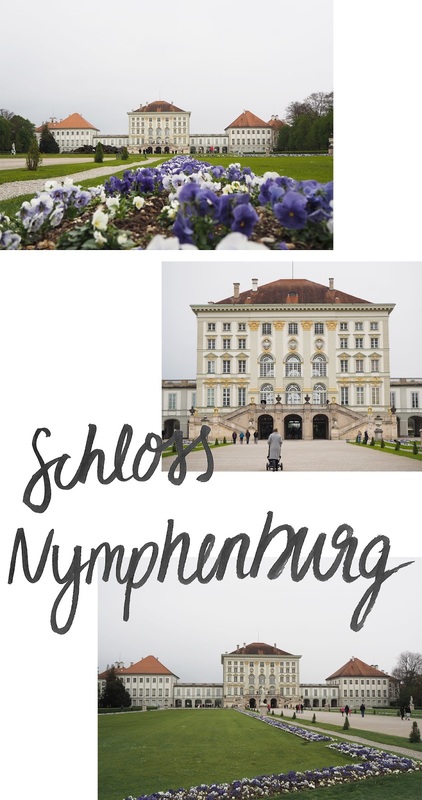 Before visiting Munich, Schloss Nymphenburg has popped up on my Insta feed multiple times. In general, I like visiting castels and walking through their parks. Unfortunately, the day we went to Schloss Nymphenburg, it was really cold and rainy as well (hence the grey sky), but I think in the summer at 20 degrees it must be a bliss to walk through the park - which is perfect for a run as well - and eat some cake in a café in the park. Also, there is a botanic garden (with a cacti exhibition) which I would have loved to see, but unfortunately, we were short on time. The Viktualienmarkt is a market located in walking distance from Marienplatz. You can get anything here: you can buy the most dreamy flowers (I could have snapped photos of them for ages, so beautiful), get fresh juices, but also eat a proper meal, get some plants, vegetables etc. Within 5 minutes, you reach Eataly, which is heaven for a foodie like me. 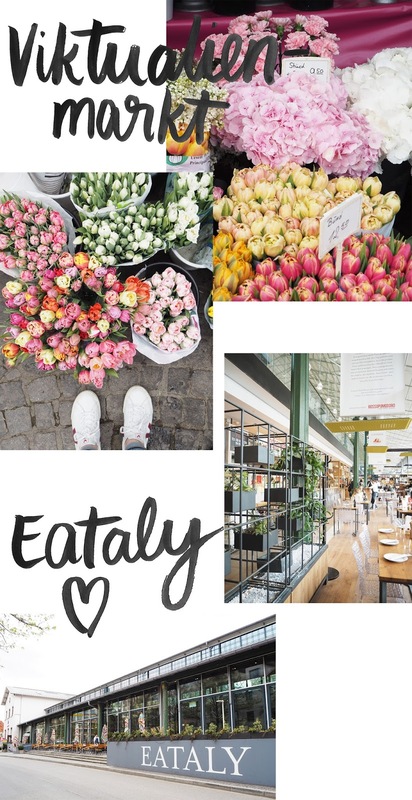 It´s basically a huge delicatessen store, where you can have a seat and eat as well as buying some amazing cookbooks (some of you might know Eataly from New York (right next to the Flatiron building)). I´d love to know what you like to do in Munich and what I shouldn´t miss the next time I´m there!